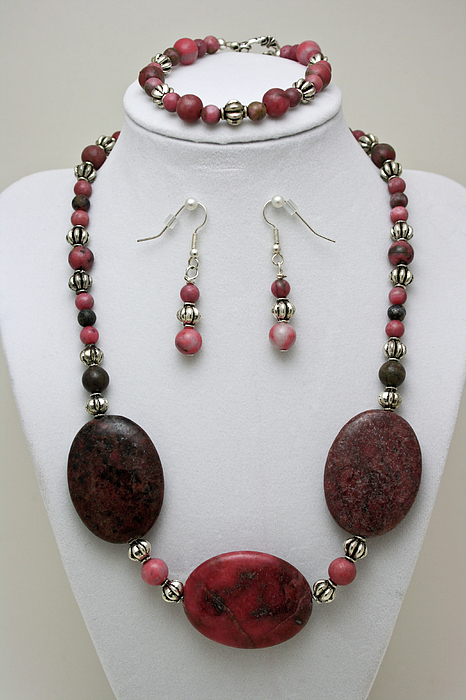 There are no comments for 3544 Rhodonite Necklace Bracelet And Earring Set. Click here to post the first comment. 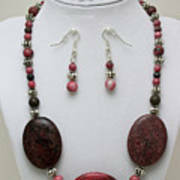 Pink and Gray Rhodonite set accented with Tibetan Silver. 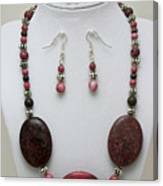 Necklace measures 18" and features three large pendant stones. 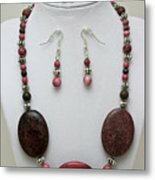 Bracelet is approximately 7" with matching earrings.